The region around Naples is an extremely interesting area for tourists. Less than 30 kilometres from Naples there are several top sights. 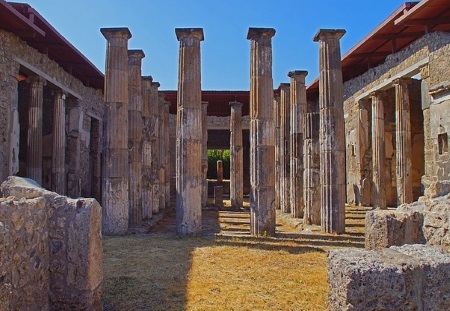 One of them is undoubtedly the famous city of Pompeii, which was buried during a volcanic eruption about 2000 years ago. No less exciting is the visit to the volcano Vesuvius itself. The Amalfi Coast is considered one of the most beautiful regions of Italy. 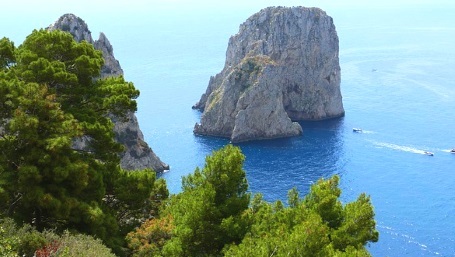 Many holidaymakers also visit the famous islands of Capri and Ischia directly in the Bay Gulf of Naples. Likewise, some cities such as Sorrento, south of Naples, are focal points of tourism. But also the city of Naples has a lot to offer. In other parts of Campania there are some great nature reserves and national parks for hikers. Some beautiful beaches attract many visitors from abroad. On this website we want to briefly introduce the big sights around the Gulf of Naples and the rest of Campania. Campania is a region, like a federal state in Germany. Campania has about 6 million inhabitants, the capital is Naples. Naples is with a little more than 1 million inhabitants after the capital Rome and the metropolis of Northern Italy Milan the third largest city in Italy. Another focus of this website is information for tourists. The journey to the major sights and islands by train, bus and ferry is covered in detail. Later we will also recommend some accommodations and restaurants, which in our opinion are particularly good and inexpensive. Campania is a rather poor region, much is cheaper than in the rich north of Italy. Those who know above all cities like the expensive Venice or Florence (Tuscany) in Italy will be pleased about the clearly lower price in Naples and whole Campania. But there are exceptions, especially the rather expensive island Capri. Naples is in the warm south of Italy and a year-round destination for city tourists. The winters are mild with average daily temperatures of 13 to 17 degrees on the coast. 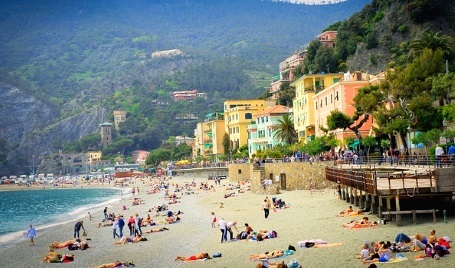 A beach holiday is possible from May to October. Those who visit Campania outside this time will find much cheaper accommodation. Especially busy is the Gulf of Naples in August, when many Italians are on holiday. One should plan a trip to the Gulf of Naples and Campania well. There are many important sights that cannot all be discovered in 1 to 2 weeks. The most important sight in our opinion is Pompeii. But excursions to Vesuvius, the Amalfi Coast and the island of Capri are also great experiences. The public transport in the region is very good and inexpensive. Very often there are trains from Naples Central Station around the huge volcano Vesuvius. Many buses run from Sorrento and Salerno to the steep Amalfi coast. From Naples and other places there are frequent ferries to the 3 inhabited islands in the Gulf of Naples (Capri, Ischia and Procida). Between Rome and Naples modern high-speed trains run several times per hour during the day. There are also good rail connections from Naples and Salerno to Calabria in the south and on to Sicily.